Well I am back, sleep deprived, but you can’t wipe the smile off my face. 10/10 would recommend being a Dad. As many of you know, it’s an amazing experience and words could never do it justice! Mum and Wyatt are doing well and he’s a little champion! This is potentially one of the most exciting competitions ever to be run here. As you all know we love all our players and we love the communities that have formed around the world. ‘theHunter Italy’ is the Italian community group which has been running 5 years and is run to a highly professional standard, they even have backing from Italian ammunition giant ‘Fiocchi Ammunition’. Fiocchi’s products can be found globally, make sure you check out their English website here. 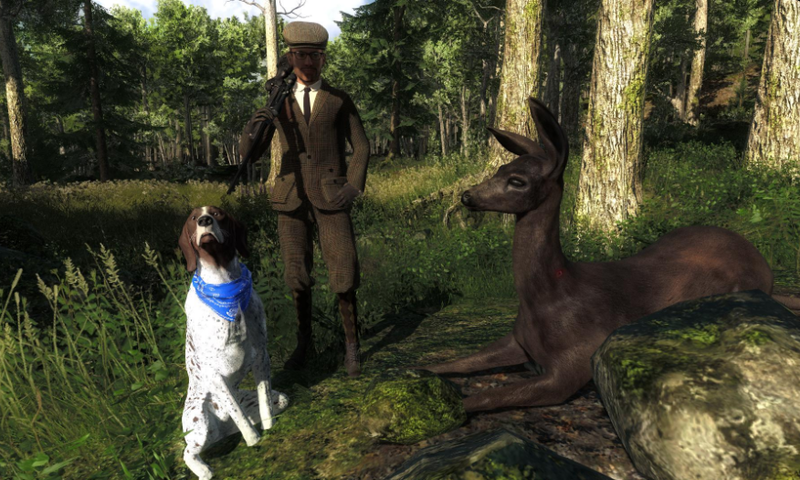 We loved what theHunter Italy were doing and how enthusiastic they are about the game, so reached out to them earlier this year to see if they would like to get involved and collaborate together to form a competition. Not only did they say yes, but they said they would like to create all the virtual trophies and they already had some ideas ready to go, did I mention how professional they are? 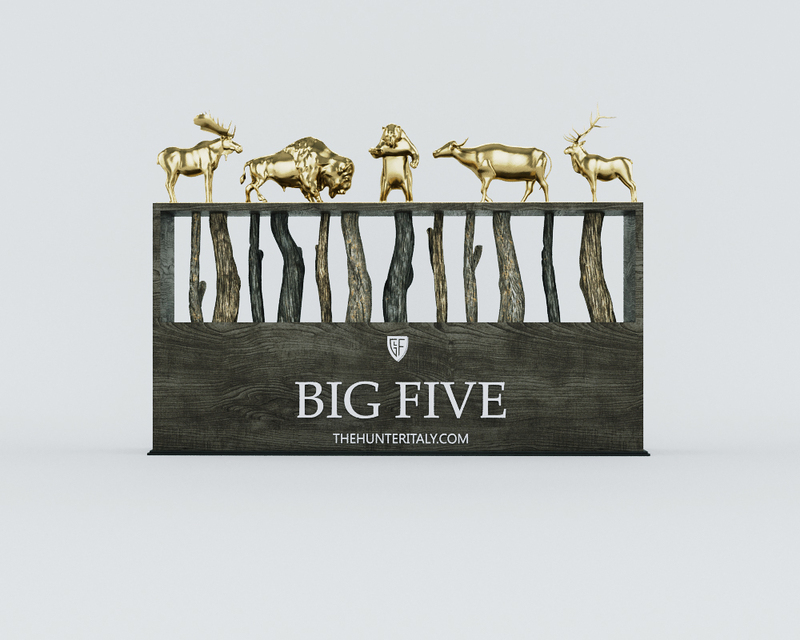 So in collaboration with theHunter Italy, their partners Fiocchi Ammunitions and theHunter: Classic I am proud to present to you all ‘The Big Five’. Scoring: Highest Combined Weight of your heaviest Moose, Bison, Polar Bear, Water Buffalo and Roosevelt Elk. Allowed weapons: All ethical weapons. Equipment: No blinds, stands, towers or shooting tripod rests allowed. Sign up: Signup opens Sunday the 22nd of July at 0900 CEST (24 hours before start) and signup can be found in the competition section of the launcher here. 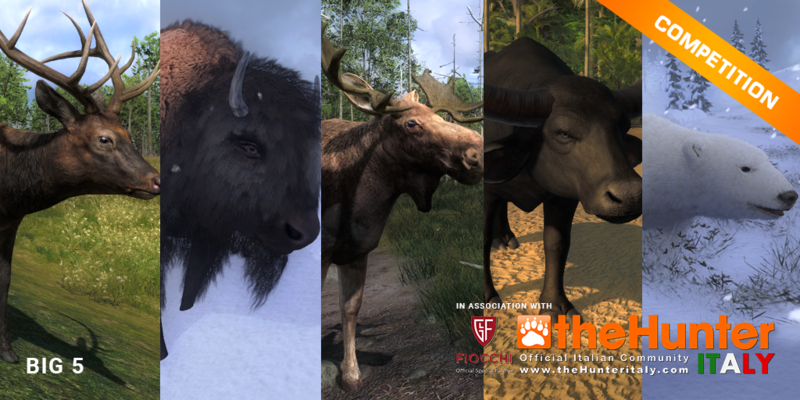 Here is a little sneak look at what you can expect for the amazing trophies that have been made by Italian community member ‘baluuto’, they have been inspired by the wood types that can be found from the different reserves that the animals can be found on. I have been informed that this one is just a teaser and the final ones will be even better, great work! We also have a package coming in from Fiocchi which is filled with clothing and items from their official shooting team. Sizes will be limited, but Items will be handed out to the top placings and on future live streams, more details to come! Well what an amazing World Cup! I have to say I started not so interested in Football and ended quite the fan, so many upsets and big teams knocked out. 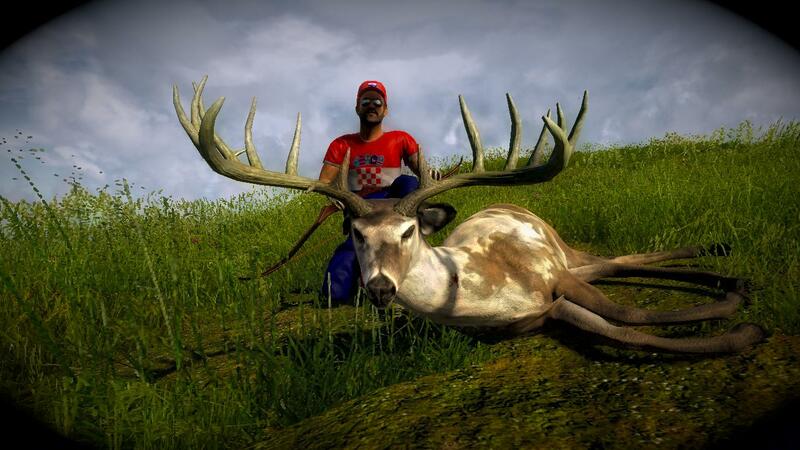 Congratulations to France for winning, Croatia for a very well respected 2nd and Belgium for a well deserved 3rd. All trophies and the Golden Gun have been handed out now and I have seen some nice videos on YouTube showing it off! What is bugging you the most? We have a thread open currently in our forum where you can have your say about 3 bugs, that to you are a priority to get addressed! Make sure you have your say here! Such a great competition and boy did we have some nice shots entered! But without further ado, here are the winners! Very nice composition and a rare to top it off. With a nice shot and some humor that had me spit out my coffee! This photo has very nice composition and I liked the ‘life likeness’ of the shot! Congrats to the winners and a big thanks to everyone else that participated. 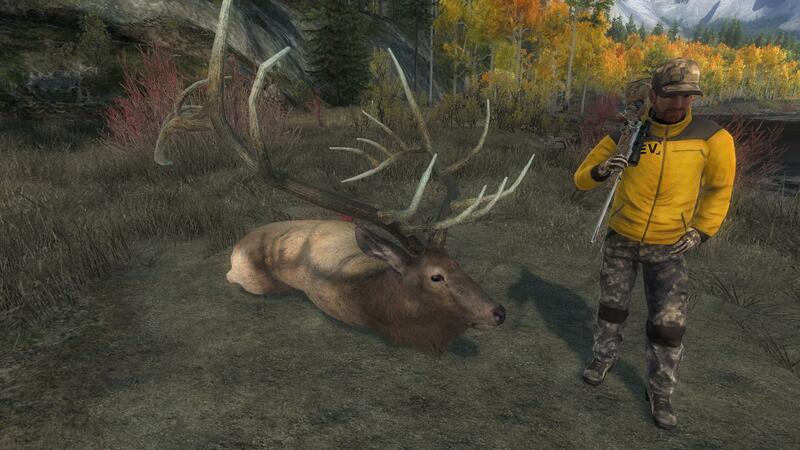 The ‘Trophy of the Week’ is this huge Rocky Mountain Elk, which was shot by forum user ‘Andhii’. It has a massive score of 436.301, putting it at #1 on the leaderboard, congratulations! If you are unsure of what many consider a trophy Rocky Mountain Elk, it is anything over the 400 scoring mark. 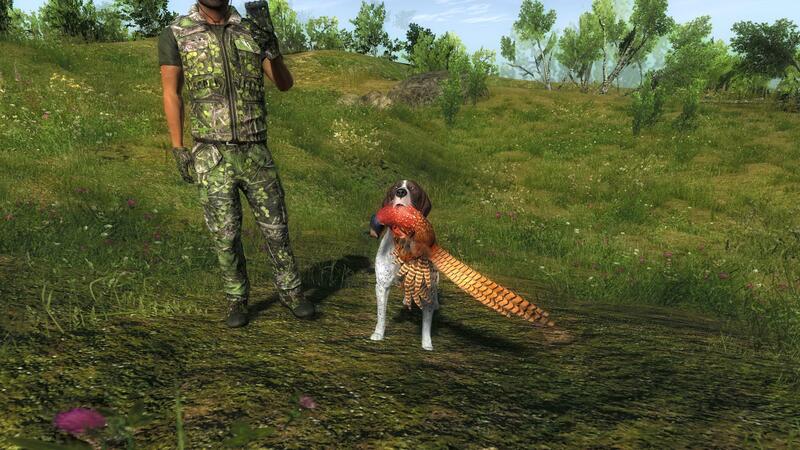 And the ‘Rare of the Week’ goes to ‘TheNightOwl’ for this lovely Piebald Whitetail with a score of 163.935, congrats! There really were so many great trophy rares this week, it was so hard to pick one. 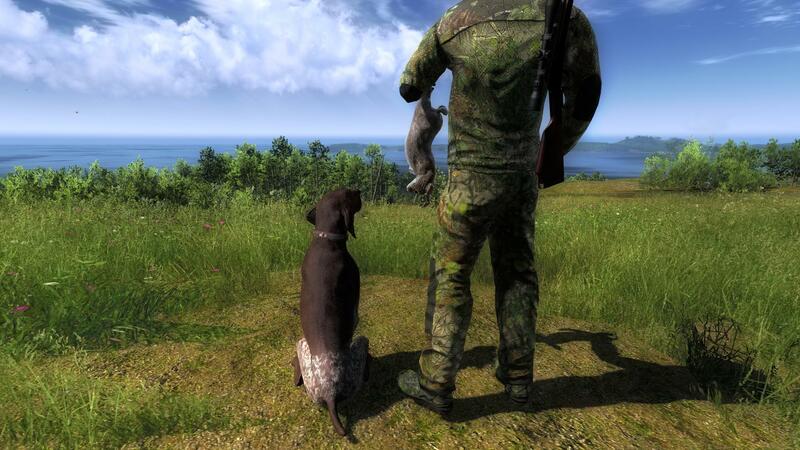 This week’s free rotation, lets our guest hunters test their skills against Cottontail Rabbits and Snowshoe Hare. Good luck and have fun!